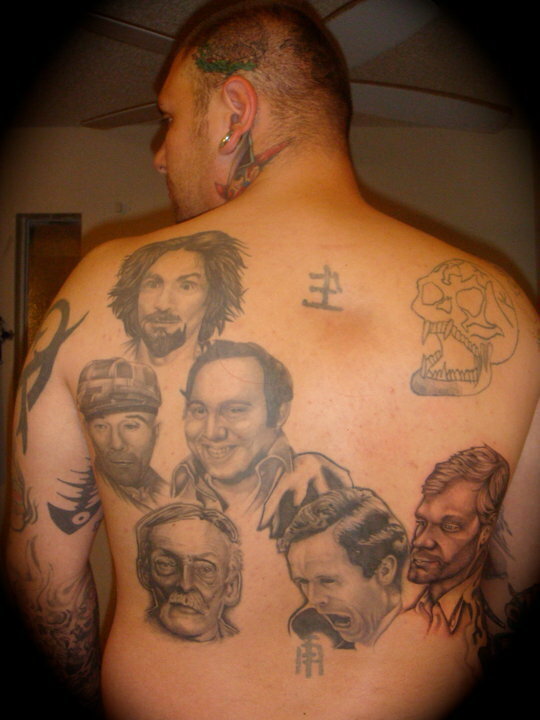 serial killer Tattoos. mural in progress Von butter. HD Wallpaper and background images in the Serial Killers club tagged: jeffrey dahmer serial killer charles manson serial killer tattoos portrait tattoos ed gien david burkowitz albert fish ted bundy. That is some cool ink. I'd love to get a tattoo of Ed Gein.